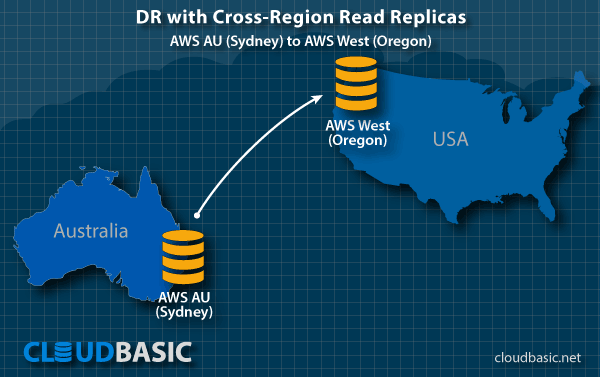 RDS/SQL Server Geo-Read-Replicas (Read Replicas in another Zone or remote AWS Regions) provide enhanced performance and durability for Database (DB) Instances. RDS Multi-AZ for MS SQL Server does NOT create Readable-Replicas and does NOT support Web Edition, however with CLOUDBASIC RDS AlwaysOn/Geo-Replicate and CLOUDBASIC RDS Multi-AR all that needs to be done to setup a Geo-Read-Replica of your RDS or EC2 SQL Server Databases (or even of your on-premise or in another cloud provider databases) is to launch one of CLOUDBASIC's products within or outside a VPC, configure source and destination and start replicating. Read-Replicas make it easy to elastically scale out beyond the capacity constraints of a single DB Instance for read-heavy database workloads. You can create one or more replicas of a given source DB Instance and serve high-volume application read traffic from multiple copies of your data located in different regions, thereby increasing aggregate read throughput and serving data to your reporting and mobile applications located near your users around the world. Read replicas can also be promoted, so that they become standalone DB Instances. When you create a Read Replica, you specify an existing DB Instance as the source. 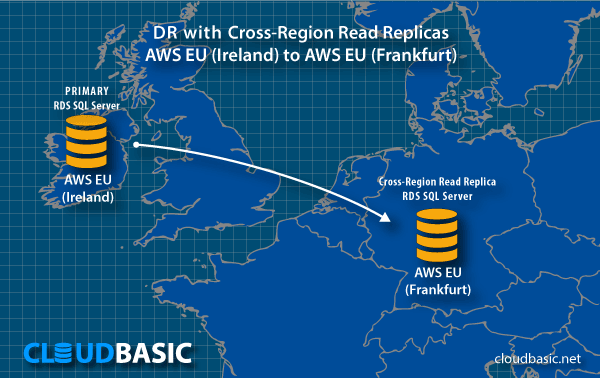 CloudBasic RDS AlwaysOn/Geo-Replicate uses a native engine, designed and implemented from the ground up to be operated on AWS cloud, for native asynchronous replication to update the Read-Replica whenever there is a change to the source DB instance. 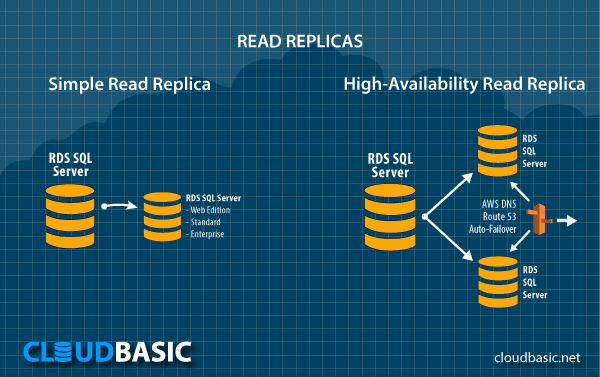 The Read-Replica can be RDS based SQL Server or EC2 SQL Server, that operates as a DB instance that allows only read-only connections (use recommended script to create read-only logins); applications can connect to a read replica just as they would to any DB instance. 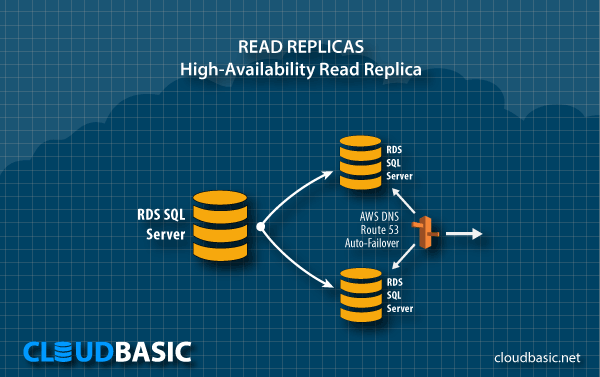 CloudBasic RDS AlwaysOn/Geo-Replicate replicates only selected databases in the source DB instance. 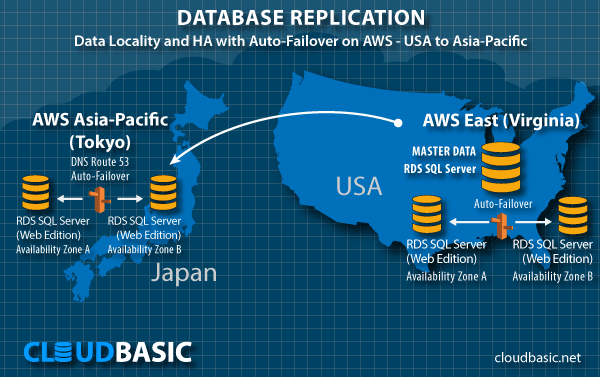 Each database can be replicated to a different AWS Region. You can reduce the load on your source DB Instance by routing read queries from your applications to the read replica. Read replicas allow you to elastically scale out beyond the capacity constraints of a single DB instance for read-heavy database workloads. Because Read Replicas can be promoted to master status, they are useful as part of a Geo-Sharding implementation. To shard your database, add a read replica and promote it to master status, then, from each of the resulting DB Instances, delete the data that belongs to the other shard. To have a custom active Geo-Sharding solution designed and implemented, contact CloudBasic Services via https://cloudbasic.net/contact/. Because the CloudBasic RDS AlwaysOn/Geo-Replicate engine also allows you to perform table-wide actions like adding indexes or new columns to Read Replicas, you can use its replica-promotion capability to minimize the impact of these actions. You would direct the DDL for the action to a read replica, promote that read replica to master status, and then redirect database traffic to the new master. 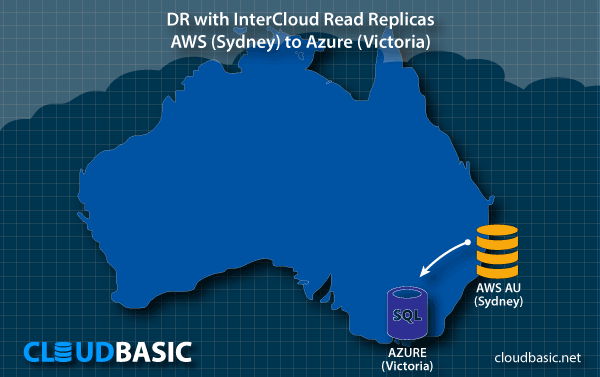 You can use CloudBasic AlwaysOn Geo-Read Replicas promotion as a data recovery scheme if the source DB instance fails. 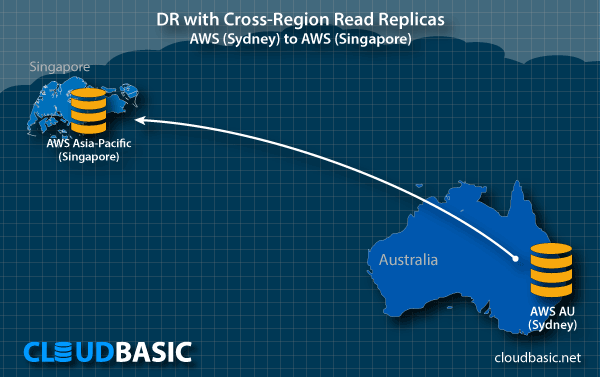 CloudBasic RDS AlwaysOn/Geo-Replicate supports replication across-AWS accounts. Cloud Disaster Recovery (Cloud DR) best practices requirements dictate that all DR artifacts be stored in completely separate AWS accounts. This ensures that an account level security breach would not affect business continuity. 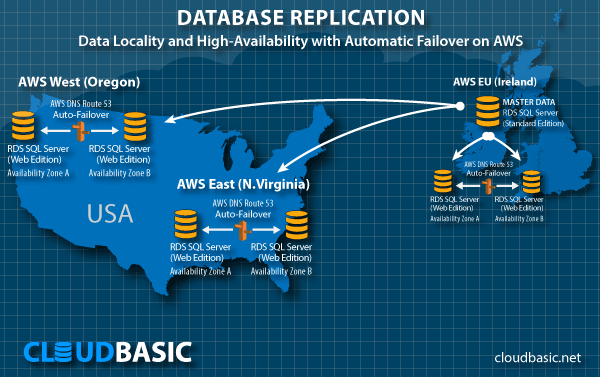 CloudBasic RDS AlwaysOn/Geo-Replicate runs in Amazon VPC, which allows you to isolate your database and any RDS AlwaysOn/Geo-Replicate Replicas in your own virtual network. RDS SQL Server Multi-AZ and Multi-AR (Cross-Region) Readable-Replicas for HA/DR, reporting, off-loading of primaries. 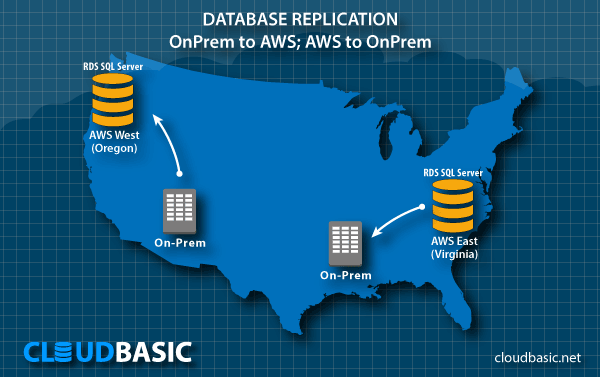 On-Premise to AWS replication for Cloud DR.